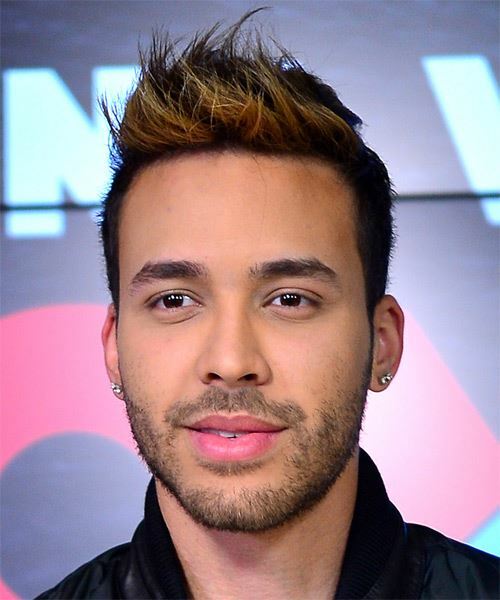 Prince Royce looks stylish here in this trendy hairstyle which is clipper cut high up through the sides and back. The top length is left long enough to be swept up making this hairdo perfect for those with medium to thick hair who prefer a bit of length and height around their face. Regular trims are needed to maintain this style and strong hold product for hold and shine. Geoffrey Royce Rojas, known by his stage name Prince Royce, is an American singer and songwriter. At an early age, Royce took an interest in music, and in his teenage years began experimenting with music and writing poetry.